BT Sport’s live and exclusive Ashes coverage will reunite legendary cricket captains Michael Vaughan and Ricky Ponting in the commentary box this winter. Vaughan and Ponting, the English and Australian figureheads of one of the greatest Ashes series of all time in 2005, are part of an all-star BT Sport punditry line-up travelling to Australia. All-time cricketing greats Geoffrey Boycott and Adam Gilchrist will be joined in the commentary box by three-time Ashes winner Graeme Swann and Damien Fleming, who won the Ashes twice with Australia, alongside award-winning broadcaster Alison Mitchell. The coverage will be presented by BT Sport’s Matt Smith. The first of the five Test Matches starts on 23 November at The Gabba in Brisbane followed by the first ever Ashes Day Night Test match, which will take place at the Adelaide Oval. The series then moves on to the WACA in Perth before the Boxing Day Test at the MCG in Melbourne and then the fifth and final match in Sydney at the SCG in early January. BT Sport will show every minute of the action exclusively live along with a daily 90 minute highlights programme.Short highlights of the Ashes will also be made available for free every evening from 7pm on btsport.com and on the BT Sport App. The Women’s Ashes Series down under will also be shown live by BT Sport, starting on Sunday 22 October with three One-Day Internationals, the first ever women’s Day Night Test at the North Sydney Oval and three Twenty20 matches. 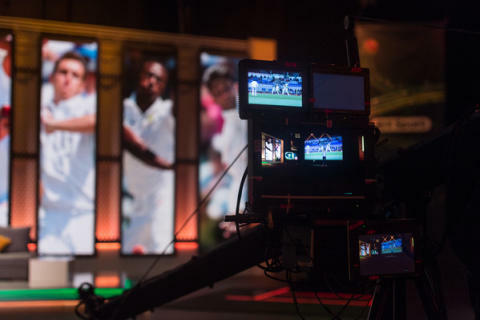 The Ashes is part of an action packed winter of cricket for BT Sport. Just one week after the Ashes BT Sport will show England and Australia battling it out in a five match One-Day International Series, closely followed by the T20 Trans-Tasman Series.BT Sport will also broadcast the hugely successful T20 Big Bash League and the Women’s Big Bash League which will see some of the best players in the world competing in Australia. BT Sport’s cricket programming will also include a look back on some of England’s greatest Ashes victories over the years and the latest from the BT Sport Films series, Kerry Packer: The Man Who Changed Cricket, which explores the influence Australian media mogul Kerry Packer had on the game with his controversial World Series Cricket competition staged between 1977 and 1979. It premieres on BT Sport 1 on Saturday 4 November at 9pm. 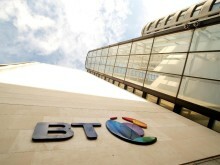 BT Sport is available via BT TV, Sky's satellite platform and via the BT Sport App, for more information visit bt.com/sport.